DO YOU KNOW HOW MANY UNUSED TICKETS YOUR COMPANY HAS? Rather than letting your unused tickets expire, why not track and use our fully automated ticket tracker product to your advantage. 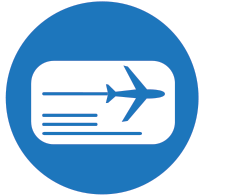 TravelAudit™ offers a competitive advantage in the area of cost savings and unique unused ticket handling.